Nominations for the Sarah Belle Brown Community Service Award are now being accepted through Monday, Oct. 23, by The University of New Mexico’s Office of the President. 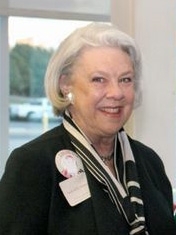 The award, which recognizes the volunteer service work done by members of the UNM community, was established and endowed by former UNM Board of Regent and Anderson School of Management Dean Doug Brown to honor his wife, Sarah Belle Brown, and her lifelong commitment to public service. The award recognizes one faculty member, one staff member and one student who serve as examples of social responsiveness and who have, over an extended period of time, donated considerable personal time and effort advancing UNM’s public service mission. Nominations are expected to be for service beyond the general scope of one’s professional or academic assignment at UNM. The award is presented each year to a staff and faculty, each of whom receives a cash award of $1,500 with the student recipient receiving a scholarship of the same amount. Each recipient must be nominated by their peers for outstanding representation of UNM’s commitment to volunteer service and outreach. For 30 years, Sarah Belle Brown has devoted considerable time to the community. Her lifelong interest in helping children and her command of Spanish led her to specialize in teaching English to Spanish-speaking children in Los Angeles. Later in San Francisco, she established a program in that school district focused on assisting newly immigrated Asian children to adapt to a new culture, and that was just the beginning. Mrs. Brown’s work in child advocacy and community service has continued into the present day. To nominate a candidate, visit Nomination Form. Nominations are due Monday, Oct. 23 at 5 p.m. and may be submitted via email to: amart@unm.edu.